Since discovering humus in a middle-eastern restaurant in Wichita, Kansas some years back; I have sought ways to utilize chickpeas, otherwise known as Garbanzos. I find cooked chickpeas make an excellent substitute for other types of legumes in soup, a yummy, healthy snack once roasted and seasoned with your favorite spice and a great addition to salads. In fact, I have found little to dislike about this little tan legume. At 105 calories per half-cup, they contain zero saturated fat and are a great source of calcium, potassium and iron. 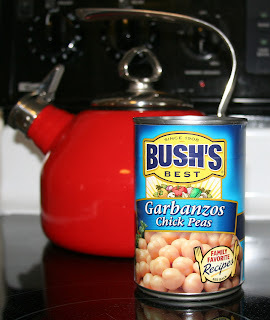 Although canned Garbanzos make life easier, cooking them from scratch is easy and allows you to control the sodium. A 16-ounce can of Bush’s Garbanzos contains 470 milligrams of sodium. To cook, clean one cup of dried garbanzo beans and place them in a large pot with six cups of water. Bring to a boil, lower the heat and simmer slowly for up to six hours. Soaking the beans over night will lesson the cooking time. Once the Garbanzos are soft, add salt to taste. You should end up with about two and one-half cups of cooked chickpeas, which you can freeze as individual servings along with the broth, which can be drained off at the time you are ready to use your chickpeas. If serving the chickpeas as a side dish, you can add herbs or spices to enhance the flavor along with a drizzle of extra-virgin olive oil to add smoothness and taste. Things like garlic, lemon juice, parsley or tomatoes make great flavor additions. I adapted the following recipe from one found in the January/February 2013 issue of Saveur magazine. 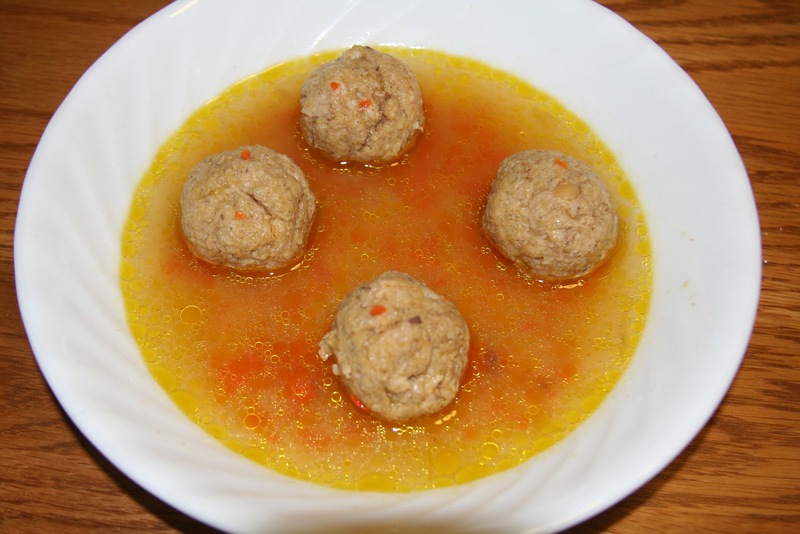 The original recipe, Gundi (Persian Chicken Meatball Soup), used chickpea flour; a broth made from chicken wings and served six. I wanted something simple with similar flavor and fewer servings. 1. Heat olive oil in three-quart stockpot over medium-high heat. Add onions, celery and sauté 3-4 until soft, 3-4 minutes. Add garlic, sauté one minute longer. 2. Add carrots and chicken broth to pan. Bring to boil and simmer until carrots are tender and the liquid has reduced slightly, 20-30 minutes. 3. Meanwhile, place cubed chicken breast, chickpeas and spices in food processor and blend until smooth. 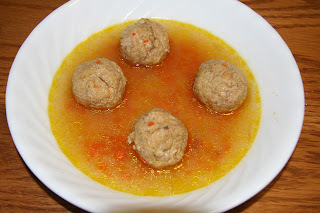 Form mixture into 2-inch balls and drop into the hot soup and simmer 15-20 minutes or until the meatballs cook through. Serve in the broth with sturdy bread for dipping. Love your chicken/chickpea meatballs! But don't get rid of your broth. It makes wonderful soups. I use the full amount in a package of dried garbanzos (2 cups) then after they cook (I use crock pot) measure out 14-15 ounces into freezer bags with small amounts of the broth. The bags lay flat in the freezer and don't take up a lot of room. I freeze the excess broth separately to make soups - especially good with pasta fagioli (just chick peas and pasta--with tons of good olive oil). Heart stoppingly good (literally).